David T. Garrett, MD, a Kentucky native, graduated with honors from Vanderbilt and with High Distinction from the University of Kentucky College of Medicine. He completed his ophthalmology residency and served as chief resident at the New York Hospital – Cornell Medical Center in New York City. His glaucoma fellowship training followed at Mt. Sinai Medical Center, also in New York City. In 1990 he returned to Kentucky joining William N. Offutt, IV MD, a 3rd generation eye surgeon. Dr. Garrett is certified by the American Board of Ophthalmology. He has served as president of the Lexington Academy of Eye Physicians and Surgeons and President of Eye Care Providers of Kentucky. He has served as Chief of the Ophthalmology division of St. Joseph East Hospital since 2008. 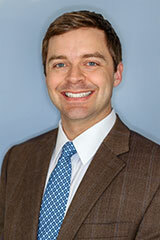 Dr. Garrett has more than 20 years of cataract and glaucoma surgical experience. He has performed thousands of phacoemulsification cataract procedures, including referrals of high-risk patients. He is one of the first eye surgeons in Kentucky utilizing Laser Assisted Cataract Surgery. He also specializes in the medical and surgical treatment of glaucoma, combined cataract/glaucoma surgery, as well as glaucoma tube implant devices. Dr. Garrett is renowned in the field, and has been consistently named to the “Best Doctors in America” by Health Grades since 2001. Dr. Garrett has been married for 25 years and has 3 children. His interests include kayaking, hiking and snow skiing. He practices with a ‘patient first, patient centered’ philosophy, treating each person according to their individual needs and lifestyle. Dr. David Garrett has active and/or courtesy privileges at most hospitals located in Fayette County. Many of our outpatient procedures are performed at Lexington Surgery Center or St Joseph East Hospital, which is conveniently located next door to our office. Ryan Smith, M.D., graduated from Centre College with a double major in Biochemistry and MolecularBiology. He earned academic All-Conference honors as a second baseman on the Centre baseball team. 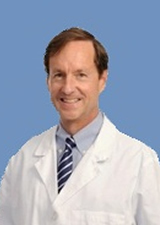 Dr. Smith is a graduate of the University of Louisville School of Medicine. He completed hisophthalmology residency at the University of Florida in Gainesville before returning home to Kentucky,where he completed a surgical glaucoma Fellowship at the University of Kentucky College of Medicine. Dr. Smith chose to specialize in ophthalmology because of the variety of medical and surgical procedures that help preserve and improve vision. As a glaucoma specialist, he enjoys developing a long term relationship with his patients. His interests include the surgical management of glaucoma and utilizing the latest surgical techniques, including traditional filtration surgery and glaucoma shunt implants. Dr. Smith is also excited about various new minimally invasive glaucoma procedures that can be combined with cataract surgery. He has demonstrated expertise in complex, high-risk cataract surgery, and is experienced in the latest cataract implant options, including implants to correct astigmatism and presbyopia. During his residency, Dr. Smith was elected as representative to the Quality and Patient Safety Committee and selected as a member of the Gold Humanism Honors Society. Members of our staff have been specially trained in the areas of their expertise. They stay up to date on Continuing Education to maintain their credentials. All have a vast knowledge of ophthalmology, having worked in the field for 10+ years!